The three-day event will be held over the 16th, 17th and 18th September. British Superstars Me & Mrs Jones, with Award-Winning British Pop Goddess Sophie Ellis-Bextor and her husband Richard Jones will entertain during the opening party. Sophie's chart topping singles include dance floor favourites Murder On The Dancefloor, Groovjet (If This Ain't Love) and Take Me Home. Sophie-Ellis-Bextor will be revealing her brand new album at the after-party. 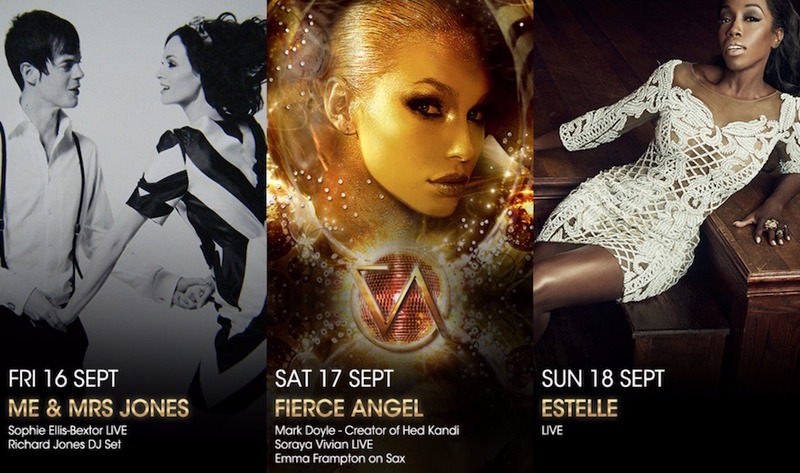 Mark Doyle (the creator of HED KANDI) and the Fierce Angel Collective are back by popular demand on the 17th September. 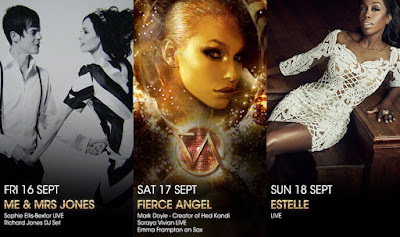 I will be seeing ‘American Boy’ songstress and Grammy Award Winner Estelle who will be performing on Race Night. The British hip-hop/soul sensation's mega hit 'American Boy' with Kanye West hit number 1 in the UK Charts. She has had enormous success collaborating with David Guetta on 'One Love', as well as with John Legend, Robin Thicke, Rick Ross, Chris Brown and will.i.am. 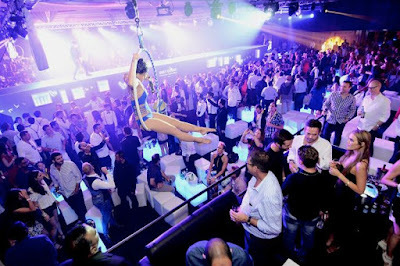 Situated within the track and directly across from The Paddock Club, The Podium Lounge hosts F1 drivers, Royalty, celebrities, ambassadors, supermodels and Asia’s jet-setting party elite each year. E! News Presenter Yvette King will be hosting the drivers, celebrity guests and performers on the red carpet each night. The Grand Ballroom of The Ritz-Carlton, Millenia Singapore, will undergo a dramatic transformation into a glamorous ultra lounge featuring a dizzying overhead catwalk and VIP balconies offering a magical party experience for up to 3,000 guests per night. Gordon Ramsey, Kim Kardashian, Princess Charlene of Monaco, Bobby Chinn, Nico Rosberg, Fernando Alonso and Sebastian Vettel.